Mandatory challenger Murat Gassiev battles unified cruiserweight champion Denis Lebedev in bout that has explosive written all over it. The cruiserweight division is for the most part off the radar away from mainstream attention. Many of the sports long list of legends in the past reigned at middleweight, light heavyweight, and heavyweight. Never a glamour division however in recent years it’s consistently produced great fights and top-ten matchups. It’s been a nice alternative to many of the heavyweights nowadays, who are too large to keep an active punch rate and often end up gassing out midway thru a fight. The cruisers tend to be in better physical shape but still pack a punch which is the case in this unification dust-up. Take the two-belt champion in Denis Lebedev as example. He comes to fight, doesn’t lack power, and has a helluva chin. 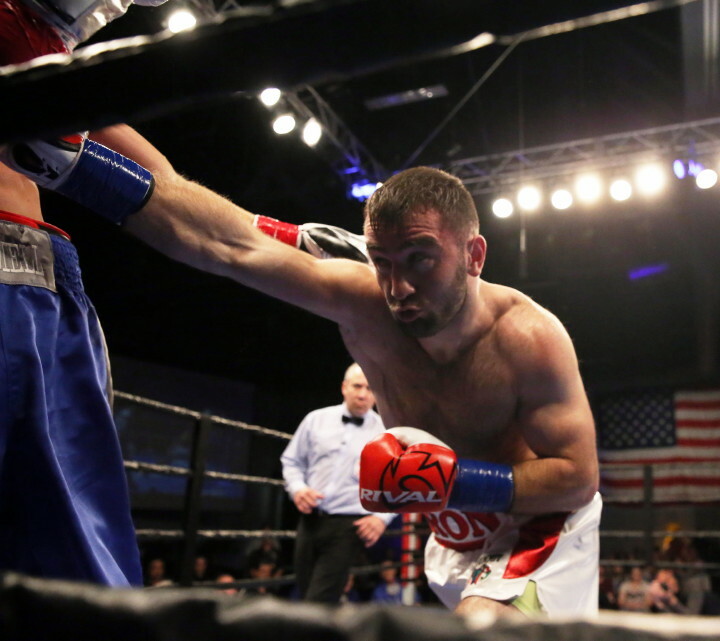 Murat Gassiev prefers to stalk his opponent and poses real one-punch knockout power which is evident by a nasty left hook ‘KO of the year’ candidate landed in his last fight in May. Unfortunately, a bit of boxing politics has been infused in to this event via Andrei Ryabinsky, of World of Boxing. Ryabinsky applied for special permission to change the WBA side of the equation to a non-title fight. In that scenario win or lose Lebedev would remain one of the WBA champions. As previously mentioned the style matchup between the southpaw champion and heavy-handed orthodox mandatory is sure to light a fire this Saturday, live from Moscow, Russia. Lebedev the more experienced of the two, is a solid come-forward fighter with a good jab and decent footwork. He likes to control distance and generally puts himself at workable distance. Denis’s defense is mediocre at best and is usually open to a variety of right hand angles. Lebedev will need every single whisker in his iron chin to stand up to the aggressive challenger. Body work if landed properly in quick combination could pay dividends for both combatants. Murat Gassiev has a crude style and doesn’t have the amateur pedigree like many of his Russian or Eastern European counterparts. Murat’s high-guard and ability to block shots with his gloves makes up for a lack of traditional defense. Often his face will turn red from flush lands early in fights. Gassiev is a bit flat-footed on the way inside, but once in the pocket, uses upper body movement and timing to get his best work done. At times Murat is tight with his punches but in that same breath can reach and be too wide with certain shots, especially the right hand. Experience and proven toughest in the heat of a war should separate Lebedev. Throw in the advantage in promotional power and that’s enough for this scribe to pick Lebedev to win in what should be an entertaining clash. My official prediction is Denis Lebedev to come off the canvas and win a majority decision.